From the developer who brought you Flights Radar, here's another cracking UWP application in the same genre - with an Achilles Heel. 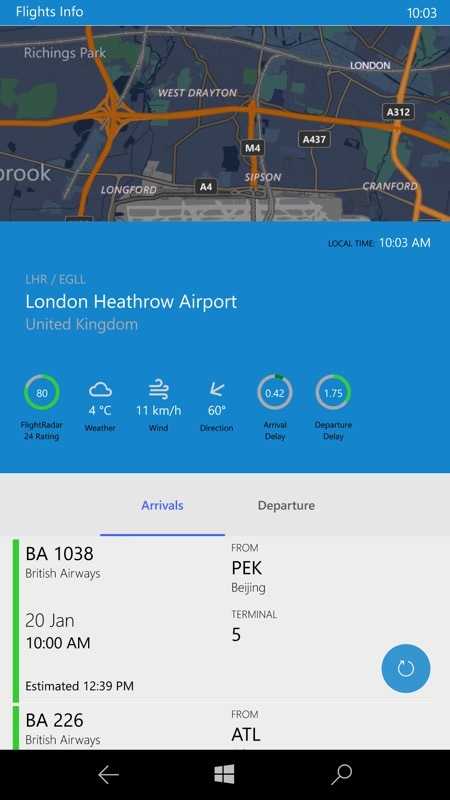 Flights Info is less graphical and more text-based, allowing you to drill down into airports and flights information across the world, looking at the usual - scheduled versus actual take-off and landing times, etc. The flaw? It's unstable on my Windows 10 Mobile phones and prone to crashing when it runs out of RAM. Data points welcomed then, for the developer, I think! 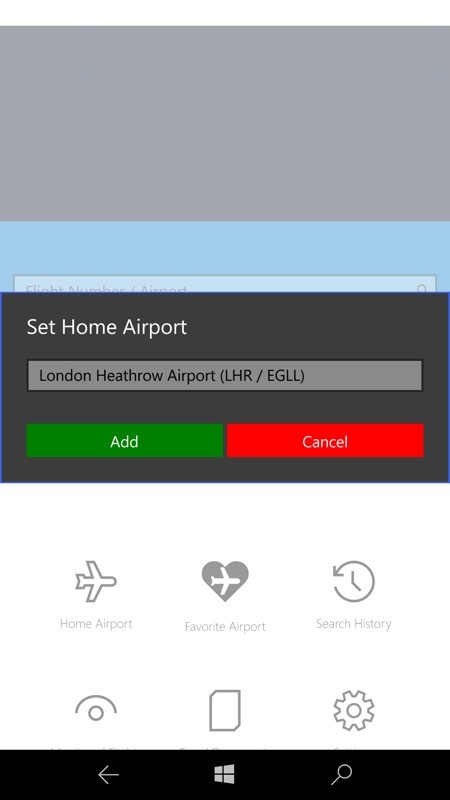 Flights Info is a unique flights information application on Windows 10 platform. When first released, this had time-based in-app-purchases, but these have now been scrapped and there's just the one, to remove the occasional banner ad, which is more than fair enough - when the crashes have been sorted out, anyway! 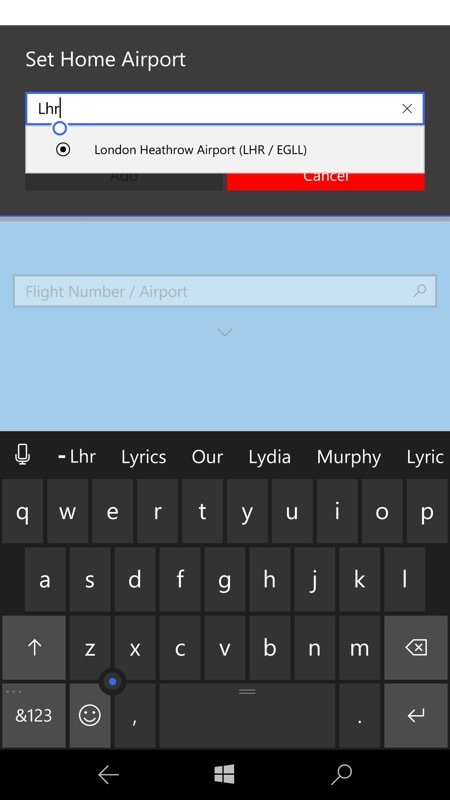 Setting my home airport - note that for all text queries in Flights Info, there's quick-matching - which takes a couple of seconds, so it's more like 'slow-matching'. Anyway, give searches a second or so and you'll get possible matches, as shown above. 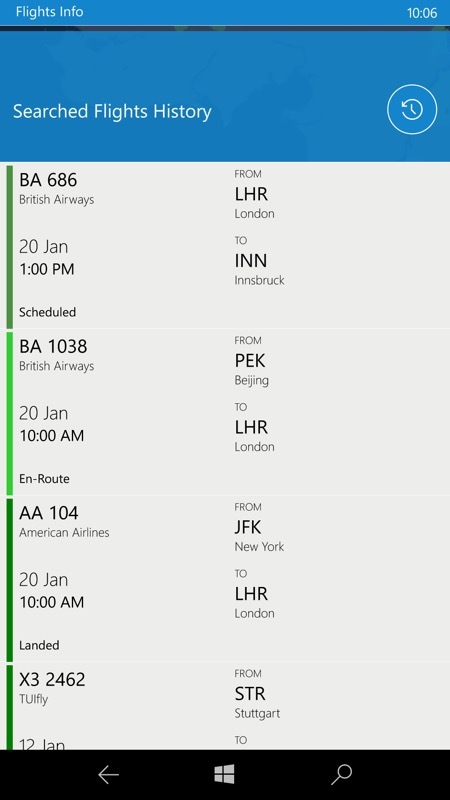 My home airport and its live arrivals and departures... (right) tapping on a flight to see its status. Bang on time, as it happens. 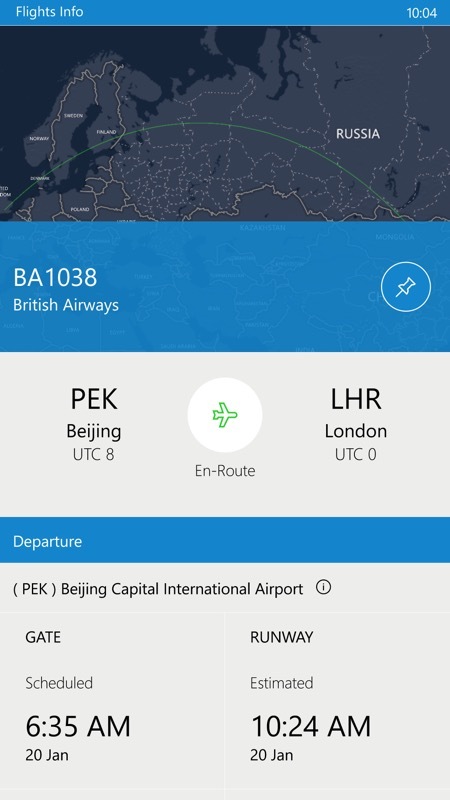 Above the flight data, a graphical panel shows either the airport or tries to show the great circle flight path of the flight in question. 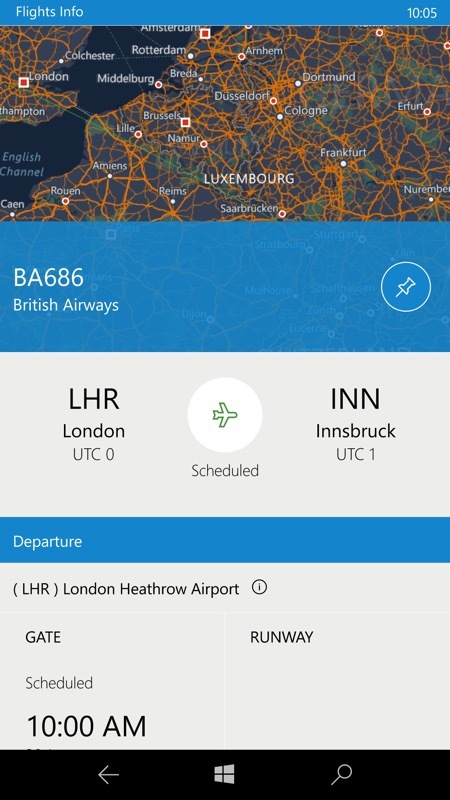 A flight about to take off to Innsbruck; (right) a log is kept of all your searches, in case you want to search for the same flight again. You can grab this in the Store here. If, like me, you hit RAM issues and experience the application crashing back to the Start screen, can I suggest you drop details of your experiences to the developer on the official support address?